Looking to buy a house, condominium, apartment building or a commercial property? Having problems finding out where that water leak is coming from? Need to check on remodeling work being done to your house? Do you have any kind of problem or question about your property? We can help. Consider us your House Geeks. If you have any questions about home inspections or how to pick a professional home inspector, even if you don’t hire us, please give us a call. No charge. First, and foremost, we are here to help. 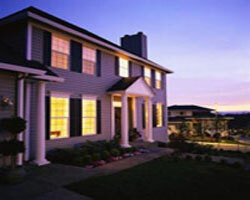 Consider the fact that hiring a Home Inspector is unlike any other type of service. You, really, never actually even meet your inspector until after you have already retained his services. How do make sure that you are making the best choice? How do you know you can trust your inspector? A family run company, not a big franchise. You get personal service and are treated like family. 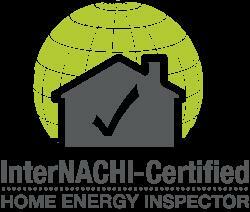 Certfied Master Inspectors, the highest professional designation in the industry. We work with, but not for, Realtors or Sales Agents We represent only for the client. Some Realtors will recommend ‘easy’ inspectors, who won’t lose them their commission. We are not ‘easy’. We are thorough and complete, without being ‘nit-picky’. We work, only, for you. Our job is to fully educate you about the condition of the property. Provide personal service and you are always able to talk, directly, to the owner if you have any questions or concerns. Pride ourselves on our services, not just during the inspection, but for as long as you own your new home. Almost 20% of our time is spent just answering questions and serving our clients after the inspection, at no additional cost. Utilize the latest techniques and newest tools, including thermal imaging and MATS testing for all inspections, at no additional charge, and write a complete, custom, narrative report, including color pictures and diagrams, so you are clear about any issues. Have a long list of satisfied customers and we work hard to keep it that way. In short, we care, now and will continue to be there, for you, in the long run. 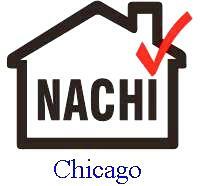 We are also full members of the National Association of Certified Home Inspectors (NACHI), state licensed, fully certified and we have over 20 years experience in home construction, maintenance, remodeling, repair and property management. We are ‘house geeks’. Why trust yourself to those old ‘legacy’ inspectors, who do quickie inspections, use only a “screwdriver and a flashlight”, provide only cheap, non-informative ‘checklist’ inspection reports and then are gone? Why should you settle for anyone but the best? Home Inspections in: Chicago, Skokie, Evanston, Morton Grove, Glenview, Glencoe, Wilmette, Winnetka, Kenilworth, Northbrook, Northfield, Lake Forest, Golf, Arlington Heights, Buffalo Grove, Niles, Highland Park, Mundelein, Lincolnwood, Mount Prospect and the North Shore area. Sell Your House for More!